If you’ve been good and listening to our last posts on a healthier lifestyle…well you know there are always cheat days (Yaaay! We heart cheat days! 😀 ). You deserve it! (But just every now and then though, okay?) We cannot keep our inner foodies in hiding for more than two days here at DD. So here is another cheesy post! Top three places that we’ve tried (more like trucks) around town where you can max out your cheat day on some scrumptiously goud(a) (get it? 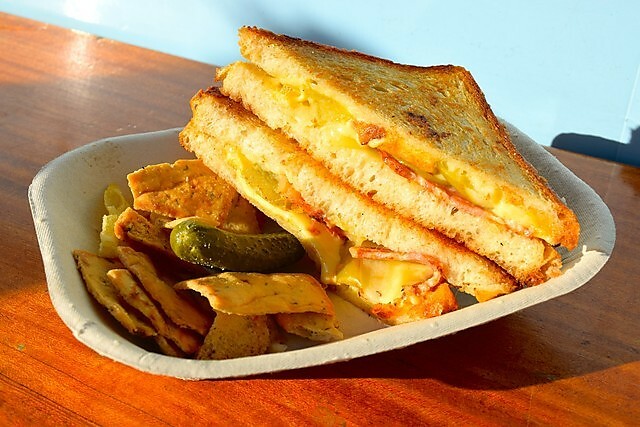 :P) grilled cheese! In no particular order, let’s dive right in! 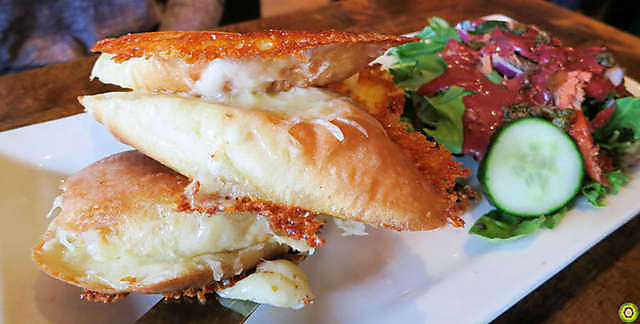 No words can describe how in love we are with their grilled cheese sandwiches. 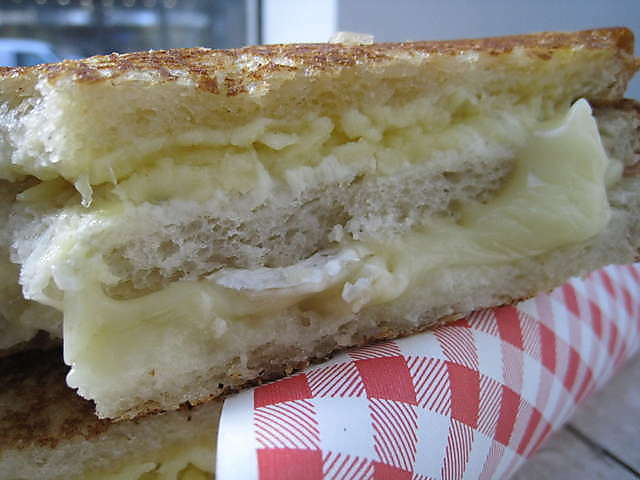 DO NOT underestimate their cozy little truck, they produce huge flavours and good old hearty grilled cheese. Our personal favourite is So Gouda: gouda cheese entwined with our favourite bacon and some tangy apple slices to balance it all (mmmm!) Need we say more?! The grilled cheese here taste as home-y as the name of this truck sounds! The Jackson 3 is at the top of our list. What is better than mixing three different cheeses? Nothing, Ab-so-lutely Nothing! Moms always have a knack for knowing what’s best, so we definitely do advise you to go try some for yourself ASAP! After a long work day hustling and bustling about, what better way to relax than with a bowl of tomato soup and a classic grilled cheese? With the relaxing Burgoo ambiance, get yourself seated and enjoy unwinding with a pleasant meal. You really can’t go wrong here! < Previous Happy Fit Weekend, Vancouver!